Fred Gwynne wrote 10 books but he was best known as an actor -- and for his most famous role, that of Herman Munster. He also starred in other TV shows such as Car 54, Where Are You? and films such as My Cousin Vinny. He also worked on the stage in plays such as Cat on a Hot Tin Roof. In addition, Gwynne painted, sang professionally, and lent his distinctive baritone voice to commercials and radio shows such as CBS Radio Mystery Theater. Fred Gwynne is currently considered a "single author." If one or more works are by a distinct, homonymous authors, go ahead and split the author. 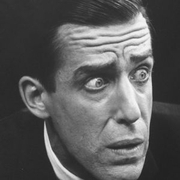 Fred Gwynne is composed of 5 names. You can examine and separate out names.